Left frame: I used a tiny cutter for the mini gingerbread cookie, and placed it on the bigger cookie as soon as I rolled them out (I rolled them out about 3/8-inch thick). As always, I used THIS sugar cookie recipe. Middle frame: Since the dough was soft, it was easy to fold the arms over the smaller cookie. (If they come apart at any seam, gently seal it back together with your fingers.) After this step, I placed the cookies in the freezer for a solid 15 minutes to make sure that the small cookie would not flatten into the bigger cookie. Right frame: The baked cookie. This was one of the first, but on the others, I folded the arms so that they would touch, for a full cookie "hug", as you can see below. The cookies were then decorated with royal icing and sprinkle cheeks (below). It was fun seeing them take shape. The mini cookies were detailed simply, by using food markers. I hope you make your own double-decker ginger kids and have fun doing it! 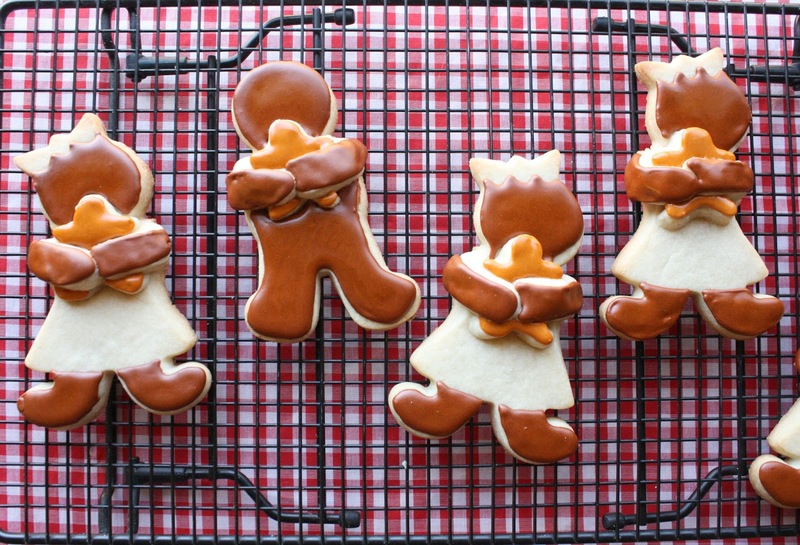 I have been dying to try the "hugging gingerbread men!" I never in a million years would have thought of anything as wonderful as these! I love how they are hugging their babies! You are my gingerbread hero Sue!! Pinning now! You made my day, Lisa! THANK YOU! 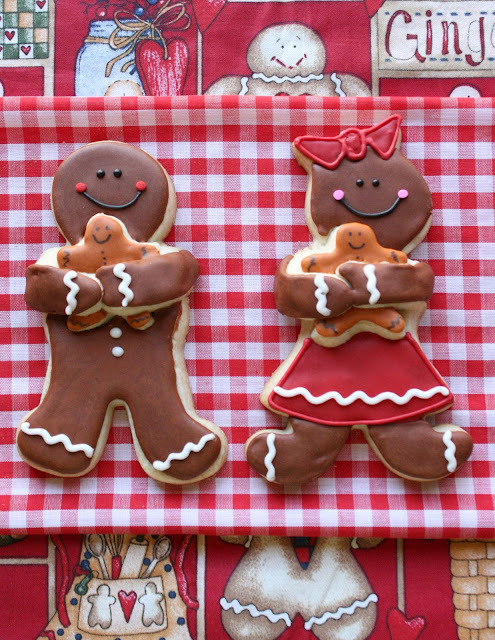 These are probably the prettiest gingerbread cookies that i have ever seen, Sue. So darling! I love them too. You have a way with words, Karen, thank you! So adorable...how can you eat them! 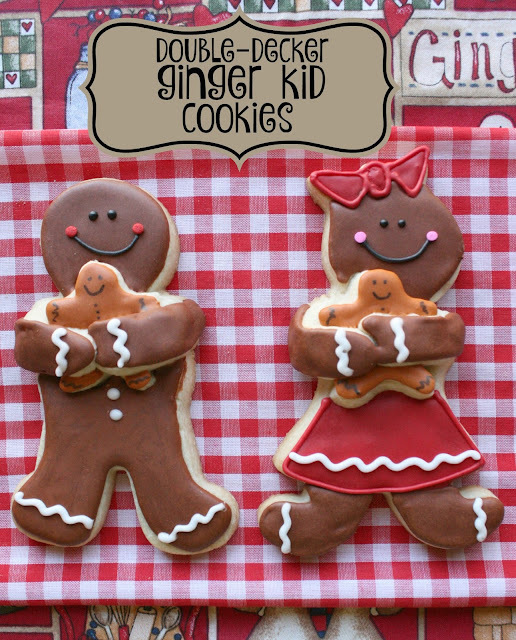 Goodness, these little ginger kids are as cute as can be! Thanks for the smile, Lisa! 😊 Happy New Year! They look so super great! I'd really want to try to make them one Christmas as we actually never made them in our family. Don't even know why.